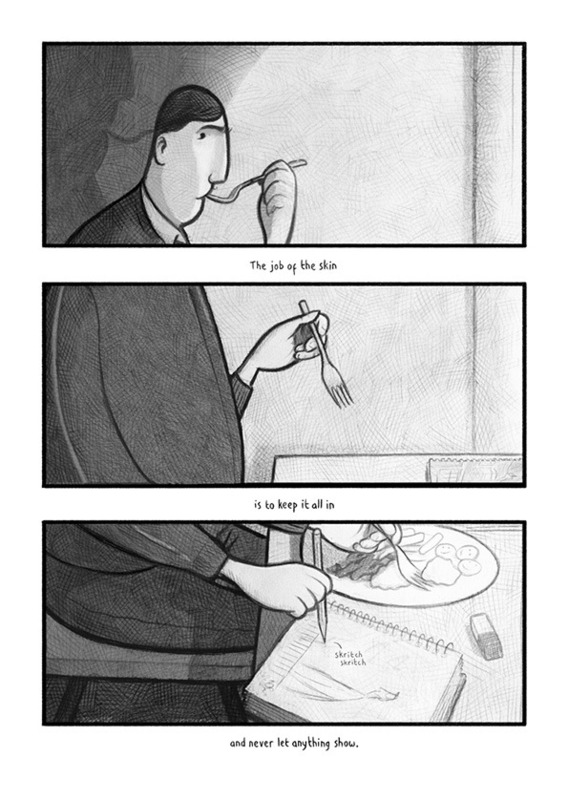 A psychologist details how the graphic novel details life on the spectrum. 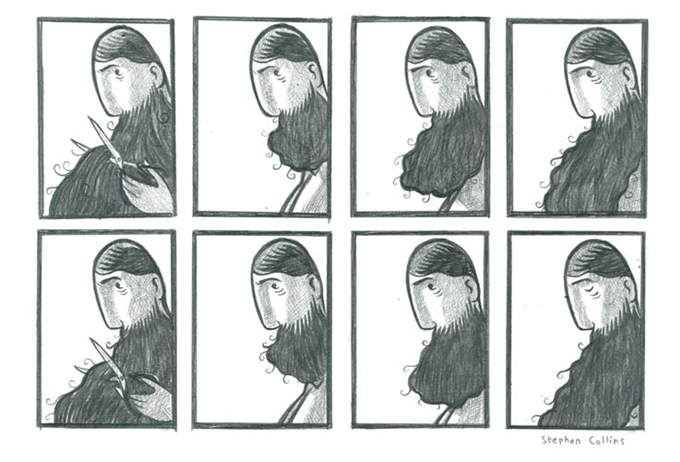 Steven Collins’ graphic novel The Gigantic Beard That Was Evil is a New York Times bestseller, and it’s not difficult to see why. A good friend of mine recommended this book to me as he felt I might have an interesting take on it as I am a psychologist who works with people on the Autism Spectrum, or rather termed, Asperger’s. I doubt the author’s intention was to write about the spectrum. But in fact, this graphic novel is an excellent metaphor for the everyday life of someone who lives on the spectrum and their hopeful future. 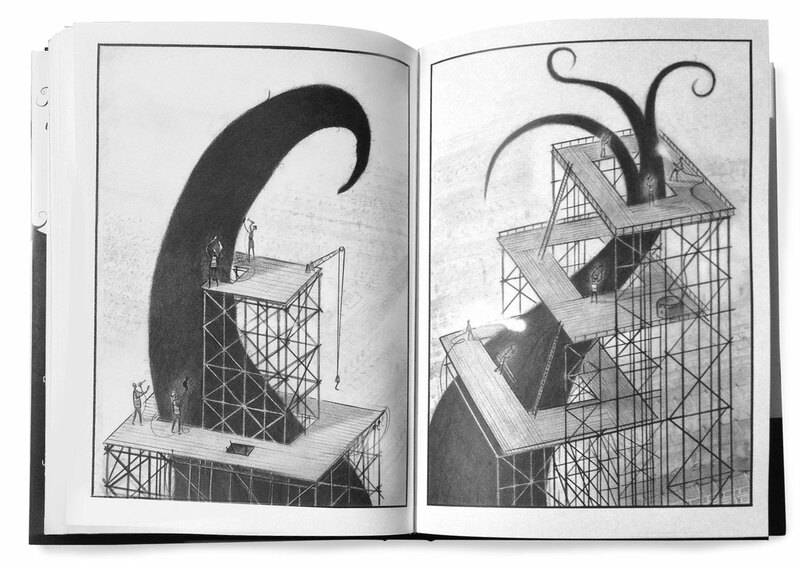 The Gigantic Beard follows the story of the main character, named Dave. He lives on a small island called “Here,” where Dave’s home rests on the edge of the sea with the mysterious outside world surrounding the island known as “There.” “There” is the place of unknown disorder and the place to be feared. The people of Here do not go to the sea due to its mysterious nature. They prefer their perfectly structured lives. Everyone on the island of Here is exceptionally neat and tidy. The island has built a society where everything is immaculate and order is required and embraced. Conformity is the norm and strictly addressed. The consistent theme following Dave and the fellow inhabitants of Here is routine, appearance, and rigid conformity. Every home is in order, every lawn kept, and everyone’s personal appearance is manicured. It is also important to note here that nobody has facial hair. If you are not conforming, something must be wrong or not Here. This rule is widely understood and practiced by nearly everyone on the island of Here. Keep an ordered life and personal appearance, and you don’t let the messy parts exposed. Conformity equals not being excluded or judged. Unfortunately, being excluded, judged, and made to feel weird is what a great many people on the spectrum experience. The people of Here socialize with one another in a compliant and choreographed manner. From their home to their work life and even their personal grooming, there is a regimented routine to follow. That is, until one day Dave disrupts this usual way of life. What is the cause of this major imbalance? It all starts when Dave grows a hair on his face. And then another. And another. No matter what he could do, a beard grew. And grew. His beard soon becomes uncontrollable and Dave becomes the spectacle of the island. 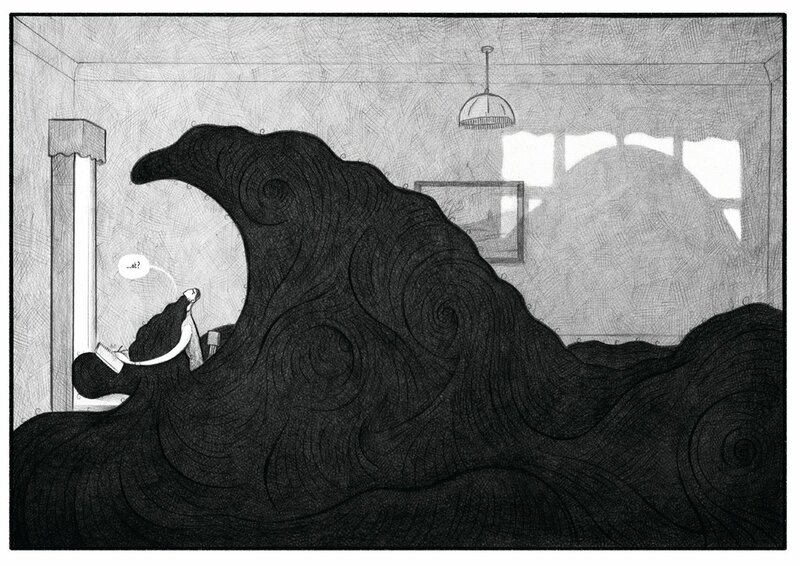 The townspeople flood his yard just wanting to stare at his beard, which eventually grows out of his house. The townspeople gather to determine what should be done. The uncontrollable spirit of Dave’s beard is out of place at Here. A beard is unkempt, awkward and untidy. And it was unacceptable to society. As a psychologist, I work with people who are on the autism spectrum and sometimes they can be unkempt, extraordinary, and do not fit into the social norms of the majority of our society. Individuals on the autism spectrum can be a beard that some view as uncontrollable. The ultimate solution to the evil beard is to build a scaffolding of balloons around him to keep the beard above the island. And while Dave feels this is the worst thing to happen to him, one day, Dave is looking upon his massive beard and sees it to be beautiful. His perspective changes. And the balloons break away carrying Dave to a place of freedom and acceptance…There. Similar to society’s perspective on those with autism, Dave’s beard is unusual, mystifying, and to some, even evil. Sometimes, people fear individuals with Asperger’s and autism and seek to create a scapegoat out of their identity. Those on the autism spectrum can be stereotyped and taken advantage of despite their minds having given giving us discoveries such as gravity, electricity, Microsoft, and Apple. I think that many of my clients would like to be lifted off from Here to There as well. Because Here can be a tough place to live. In my practice, I have built a There for all my clients on the spectrum. My There is a place where they can be themselves and not feel the need to conform. It is a place of acceptance and even celebration; a place where everyone has their own kind of beard, and that’s okay. Steven Collins’ beautifully showcases Dave, at some point, celebrating his differences and embracing his outrageous beard. The funny thing is once Dave is gone, the townspeople miss him. In a place that values structure and order, the entire island truly misses the difference of Dave and his beard. You could say that the people of Here grow just as much as Dave does. 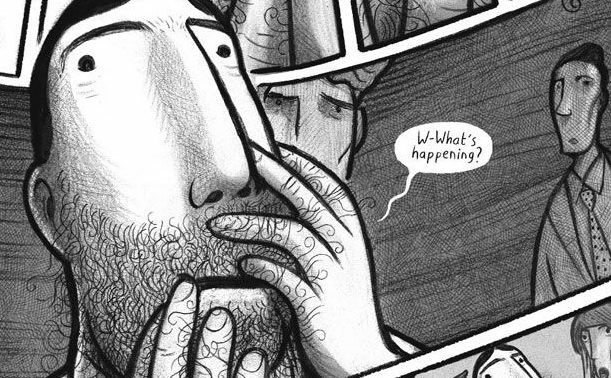 The Gigantic Beard That Was Evil is a phenomenal graphic novel that allows us to explore the differences between those on the autism spectrum and us. My hope is that the Daves of our society will find their home and that the Heres of our society will be more accepting of the Theres. I cannot recommend this novel enough and I’m thankful for my friend’s advice to read it. Get your copy here.